Thanos and death are inexorably linked. In Avengers: Infinity War, he kills half the living creatures in the universe with a single snap so the remaining half can better manage their resources. In the comic book series the movie is loosely inspired by, Infinity Gauntlet, he does the same thing, but for a different reason: He's actually in love with the embodiment of Death herself, and he wants to win her affections. 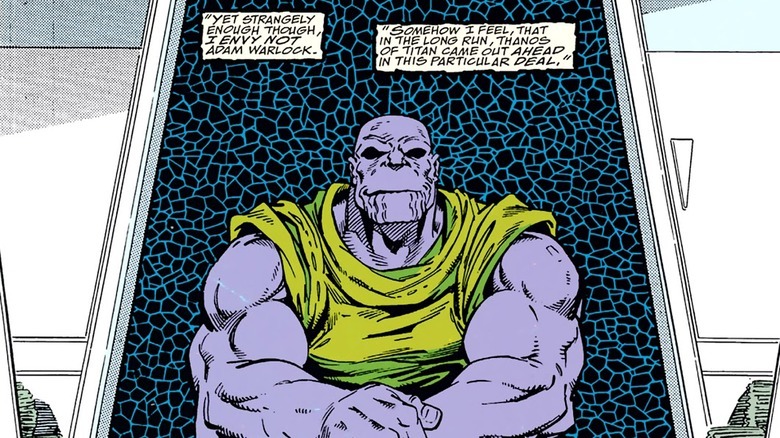 He has killed billions upon billions of beings, but is it plausible — or even possible — for Thanos himself to die? When he tells Thor "You should have gone for the head" after taking a Stormbreaker attack to the chest, is he revealing a weakness or even foreshadowing his fate in the next Avengers movie, Endgame? The answer's not as clear as it may initially seem. There are plenty of reasons we could see his nihilistic life come to an end in Endgame, but there are also some good arguments that we probably won't. 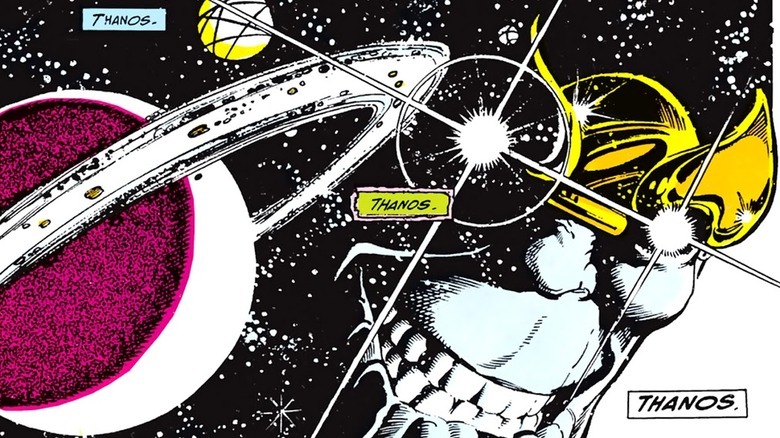 The snap that wipes out half of all life doesn't happen at the end of 1991's Infinity Gauntlet, or even close to it. It actually happens about halfway through the first issue. That's partially because the story so much of Infinity War covers, with Thanos acquiring the Infinity Gems, occurs in the prequel comic Thanos Quest. But it's also because it's not the end of the story. After a massive battle in space that ends with Thanos killing most of the remaining assembled superheroes from Earth, Thanos has to contend with the Marvel Universe's cosmic heavy hitters. Eventually, he loses possession of the gauntlet and it becomes something of a hyper-powerful football. Nebula is the first to recover it, and Thanos has to join forces with the revived superheroes to get it away from her. Then Adam Warlock takes possession of it, and he blasts Thanos into space, where the Mad Titan seemingly explodes. What really happens is Thanos is sent 60 days into the future, where he's living on an unnamed planet and suffering from a fuzzy memory. He remembers his failures, though, and he promises Warlock that he will lead a "quiet life" as a farmer. Infinity War doesn't perfectly mirror Infinity Gauntlet's story, but it hits enough similar beats that Endgame could definitely recreate its ending. According to Marvel, one of Thanos's powers is "immortality." So he's pretty tough to kill. But he dies one sort of death well before Infinity Gauntlet even starts. Marvel Two-in-One Annual #2 from 1977 is one long, drag-out fight between Thanos and a whole host of Marvel superheroes, and it ends with Adam Warlock using the power of the Soul Gem to turn Thanos to stone. 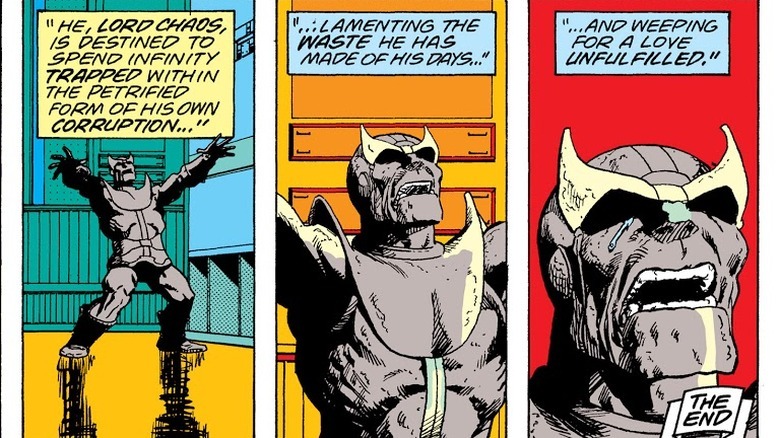 That story describes Thanos as "trapped within the petrified form of his own corruption," but 13 years later, when Death revives him in Silver Surfer #34, the cosmic nihilist is described as having been full-on dead. Death can't have that, though, because she needs Thanos to do her bidding and knows he will. He's driven by his love for her. It's not until 2018's Thanos #18 that Death finally decides to let The Mad Titan rest. Determined to prove his worth to Death, an old Thanos transports his younger self to the end of time for one big final showdown, hoping to die in the process. The old Thanos loses the fight, but his younger self refuses to end his life. It's only after the younger Thanos goes back to his time that Death declares his victory, and allows the old Thanos to be erased from existence. Comics stories keep going on and on ad infinitum, and creators often want to keep characters around for future tales. Even when someone dies, they almost always come back. Movies have far more definitive endings, and it's far more common for characters to die permanently. Plus, superhero stories in comics fit within their own particular genre, while superhero movies tend to follow a more standard action-movie template. The defining action movie of the last few decades is arguably the 1988 classic Die Hard, which ends with would-be terrorist Hans Gruber (Alan Rickman) falling to his death. 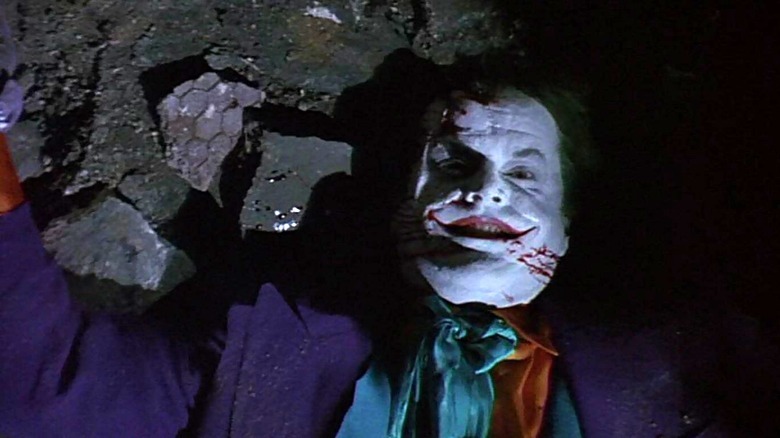 It's no surprise, then, that the Joker (Jack Nicholson) dies at the end of 1989's Batman. And not only does he die, he dies in exactly the same way as Hans Gruber. It's even shot the same way. That movie kicked off a trend in which the main villains died in most of the subsequent Batman films, The Rocketeer, X-Men 2, the first two Blade movies, Spider-Man and Spider-Man 2, Hulk, Man of Steel, Deadpool, Logan — the list goes on. 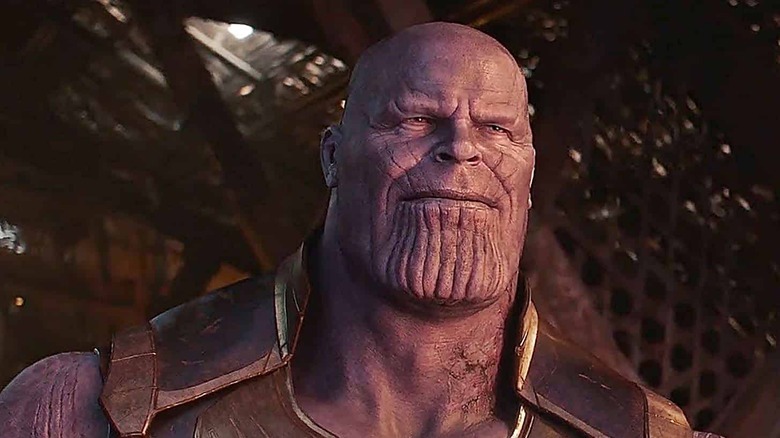 It stands to reason, then, that Thanos could share the fate of all those films' bad guys, particularly since Endgame is clearly aiming for a grittier tone than some other MCU fare. Some of the earliest MCU villains absolutely bit the big one. Mourn you until we join you, Iron Man's Obidiah Stane (Jeff Bridges) and Iron Man 2's Ivan Vanko (Mickey Rourke). Until the next life, Malekith the Dark Elf (Christopher Eccleston) from Thor: The Dark World. And rest in peace to literally thousands of members of the alien race the Chitauri. Ultron (James Spader) also seems to be pretty dead. At least as dead as an AI can be. 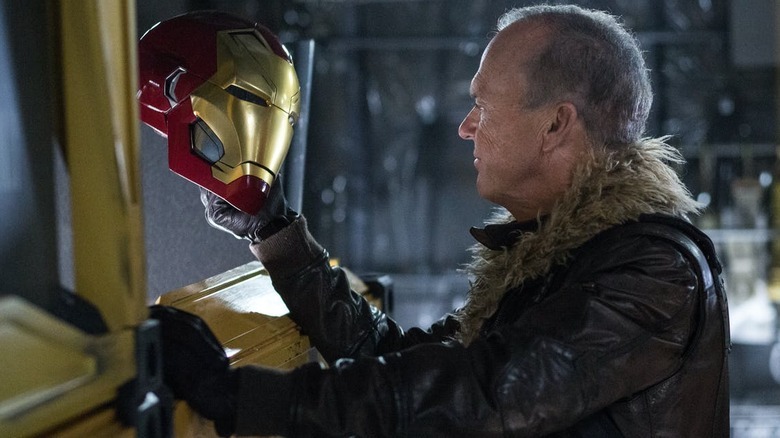 But more recent entries into the Marvel Cinematic Universe have made conscious efforts to avoid villain deaths. In Spider-Man: Homecoming, Peter Parker (Tom Holland) goes out of his way to save the Vulture (Michael Keaton) from imminent death in the aftermath of a plane crash. In Captain Marvel, Carol Danvers (Brie Larson) chooses to send Yon-Rogg (Jude Law) back to the Kree with a message not to mess with Earth rather than seize revenge for him taking advantage of her memory loss. Of course, there are exceptions to that rule, too. Hela (Cate Blanchett) doesn't make it out of Thor: Ragnarok alive, for example. And Killmonger (Michael B. Jordan) chooses to die rather than go to jail in Black Panther. Yet it's clear villains at least don't have to die in MCU movies. And sometimes, in a seeming result of the movies becoming more like their comics source material, they come back. Repeatedly. Looking at you, Loki. Now let's talk business. In some very real ways, the stories of MCU movies are still driven by the realities of the movie industry, including the terms of the agreements under which actors work. In the lead up to Endgame, rumors have swirled about the fates of Chris Evans' Captain America and Robert Downey Jr.'s Iron Man, among others, because those actors' contracts are seemingly coming to an end. 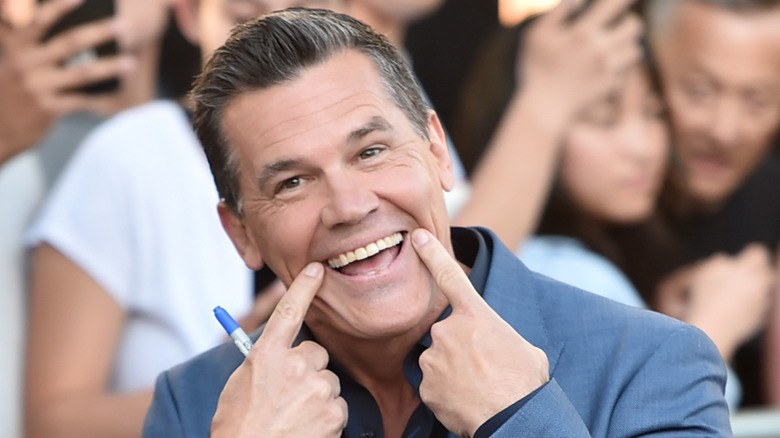 On the other side of things, Josh Brolin, the actor who plays Thanos, may still have a few movies left on his contract after Endgame. ScreenRant categorizes him as "staying" on as part of the MCU for a bit longer, noting that he signed a "multi-picture contract" with Marvel Studios. Endgame is technically Brolin's fourth MCU appearance, after cameos in Guardians of the Galaxy and Avengers: Age of Ultron, and his star turn in Infinity War. (Thanos appears in Avengers, but it's not Brolin.) Was his contract for more movies than that? Marvel hasn't revealed the details. In an interview on Conan, Brolin did indicate he's in for the long haul, saying "[Marvel is] going to tell me what I'm doing. I'll say, 'Yes sir,' then I'll leave, and then I get to play Thanos for, like, a few years." Rumors are often like dust in the wind, but we'd say this one has maybe a 50/50 shot. According to Total Film, word is swirling that Brolin's Thanos will be appearing "in some capacity" in the MCU Phase 4 film Eternals. And it makes sense. Thanos' comic book brother, Starfox, who bears no family resemblance and has occasionally creepy emotion-control powers, is an Eternal, a member of an ancient and powerful band of early humans who left Earth and settled in space. Technically, Thanos is one, too. Like Starfox, he was one of the Eternals who lived on Saturn's moon Titan. Naturally, there's a catch. 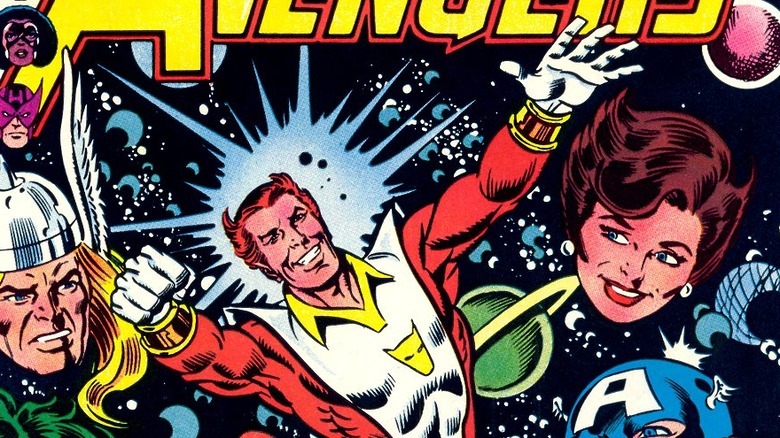 If Eternals is an origin story, then it will take place thousands of years before the current MCU, which means there would be no issue with Thanos appearing, even if he dies in Endgame. Unless, of course, there's also a modern-day component to Eternals, like when the story flashed forward at the end of Captain America: The First Avenger. Time will tell. The truth of the matter is that the MCU probably won't be rid of Thanos whether he dies or not. There's always the potential of him showing up in a flashback or a prequel like Eternals is likely to be. Even beyond that, the Red Skull returned in Infinity War (played by Ross Marquand, not Hugo Weaving) some 75 in-story years after his apparent death in Captain America: The First Avenger. Instead of killing him, the Tesseract transports him to the planet Vormir, where he becomes a sort of cursed concierge for the Soul Stone. Arnim Zola (Toby Jones), much like his comics counterpart, kept his consciousness alive in a computer. And again, Loki has died how many times now? Endgame is a movie in which fans have an expectation that dozens of characters will come back to life after blinking out of existence in Infinity War. The MCU is officially enough of a comic book world that death can be little more than a stumbling block rather than a hard ending. Perhaps the question, then, isn't whether Thanos will die in Endgame, but if he does die, will it matter? Maybe the more poetic and fitting end for a genocidal nihilist like Thanos isn't his own death, which he doesn't seem to fear, but to see his work undone, then have to live with his failure. Just like in Infinity Gauntlet.